A year ago I introduced you to Clement, my jade plant. Yup, he’s still thriving and takes up the big space in front of our living room window! So I have gotten in the habit of pruning Clement every so often. I find that this ensures he doesn’t get too big for his britches. Also, any small branch that I prune generally stimulates two new branches to grow, thus making his new growth fuller, instead of long and spindly. 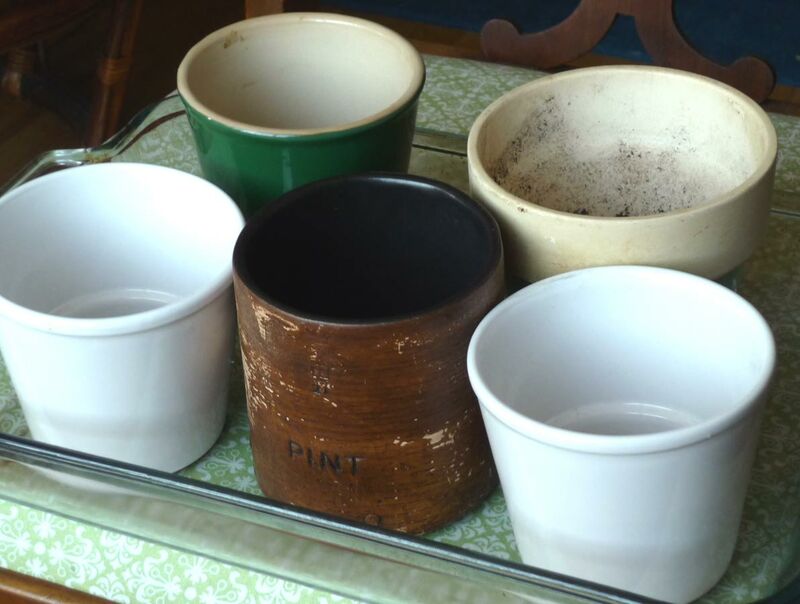 I collect little ceramic pots at the local Goodwill (no more than $1 each). 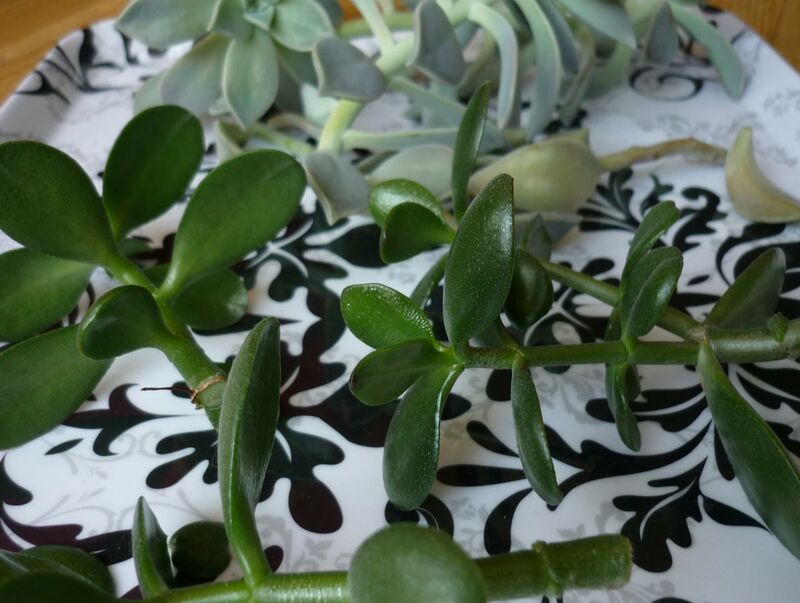 I make sure that the jade (and other succulent) cuttings have healed over at the cut – this only takes a day or so. And then, with fresh dirt, I plant them in the pots. Succulents are really hardy little plants – they are survivors. And that makes them so easy to propagate. After a few weeks, these little guys will be pretty established in their new homes, with little roots growing from the stems planted in the dirt. Just amazing. 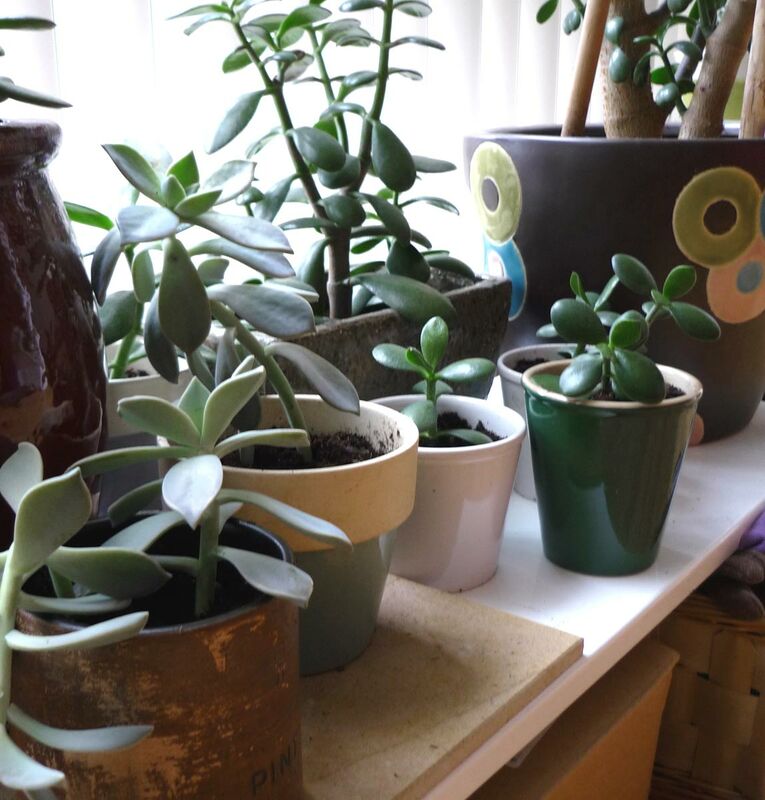 But I am also working on an new idea for my Etsy shop – making small ceramic pots and propagating jade plants for them. 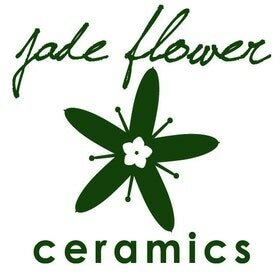 I mean, my shop is called Jadeflower. It makes sense that I should sell some jades! We’ll see how this idea pans out.